Note which city is not on that list: Chicago. Some countries, sadly El Salvador, Honduras, and Mexico, are among those expected on that list. But the United States is the only rich, industrialised nation present. Unfortunately this is not a list on which we should aspire to be. The graphic itself does a few nice things. In particular, I like the inclusion of the small multiple national rate to the left of the cities. Because, obviously, high murder rates are not great in El Salvador, but on the plus side, they are down of late. And the same small multiples do go a long way to show that, in general, despite what the administration says, homicide rates in the United States are quite low by these standards. My quibble with the graphic? 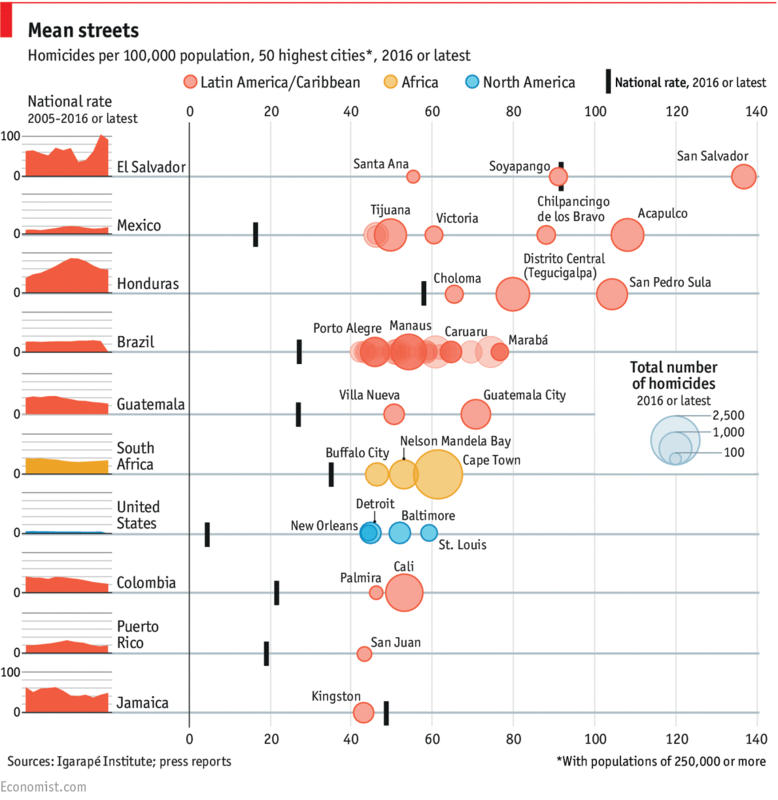 Breaking out cities by country. Yeah, it does make a lot of sense. But look at that country listed two spots below the United States: Puerto Rico. I am not here going to get into the whole Puerto Rican statehood vs. sovereignty argument, but suffice it to say that it is a part of the United States.